In just three minutes, each reading will help guide you in reading, reflecting and praying. A great way of drawing strength from God amidst hustle and bustle. Feel too busy for time with God? You'll find the spiritual pick-me-up you need in Choose Joy: 3-Minute Devotions for Women. Written especially the twenty-first-century woman, this delightful devotional packs a powerful dose of comfort, encouragement, and joy into just-right-sized readings. Choose Joy: 3-Minute Devotions for Women by Barbour was published by Barbour in February 2017 and is our 3995th best seller. The ISBN for Choose Joy: 3-Minute Devotions for Women is 9781634099981. 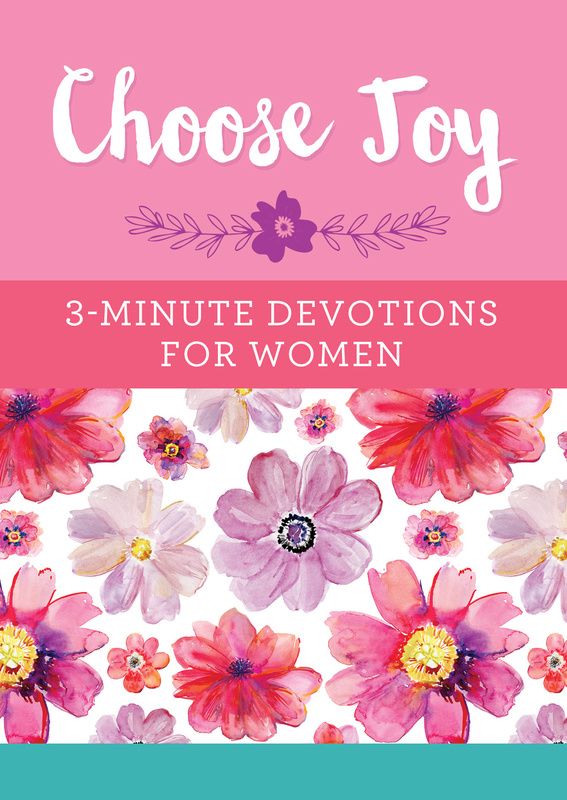 Be the first to review Choose Joy: 3-Minute Devotions for Women! Got a question? No problem! Just click here to ask us about Choose Joy: 3-Minute Devotions for Women.